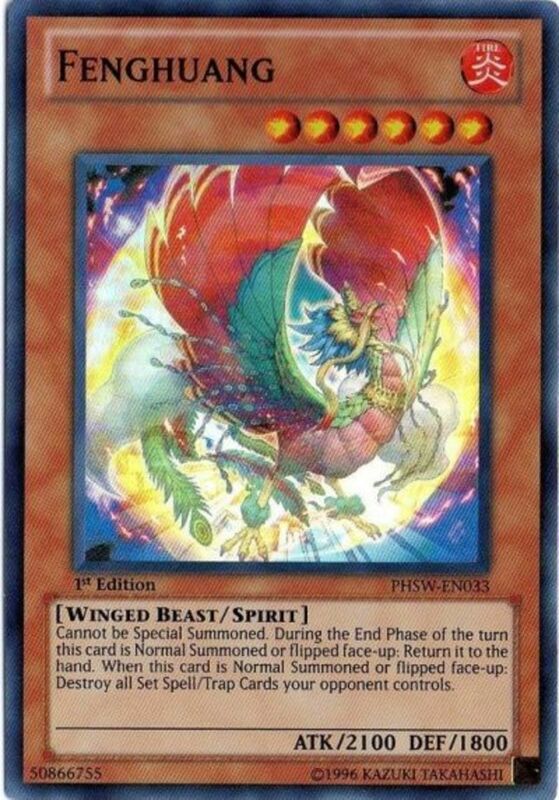 In Yu-Gi-Oh, level (abbreviated LV) monsters utilize a unique mechanic: once specific conditions are met, they're able to summon more powerful versions of themselves from your hand or deck, mimicking how characters "level up" in video games. They often start off weak, but with the right tenacity and defensive measures can become some of the strongest non-extra deck monsters in the game. Encompassing many different monster types and attributes, level monsters come in all shape and sizes; which beasts reign supreme? Here are the top ten most powerful LV monsters in the Yu-Gi-Oh trading card game! Unlike most level monsters, Mystic Swordsman's effects all activate whether or not he was leveled up from a weaker form. That said, he cannot be normal summoned, but can be normal set or special summoned (perhaps with pendulum cards). 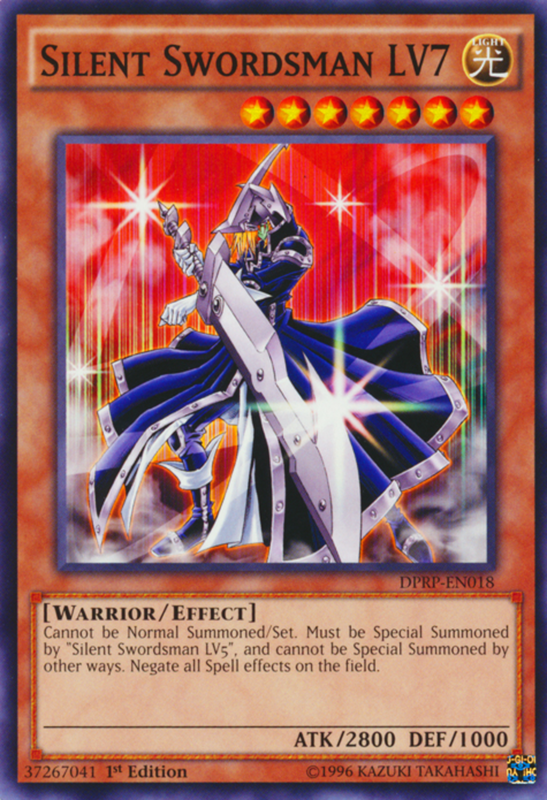 Beyond respectable ATK for a level 6 monster, Mystic Swordman's ability lets him return any face-down defense position monsters he attacks to the top of your opponent's deck. 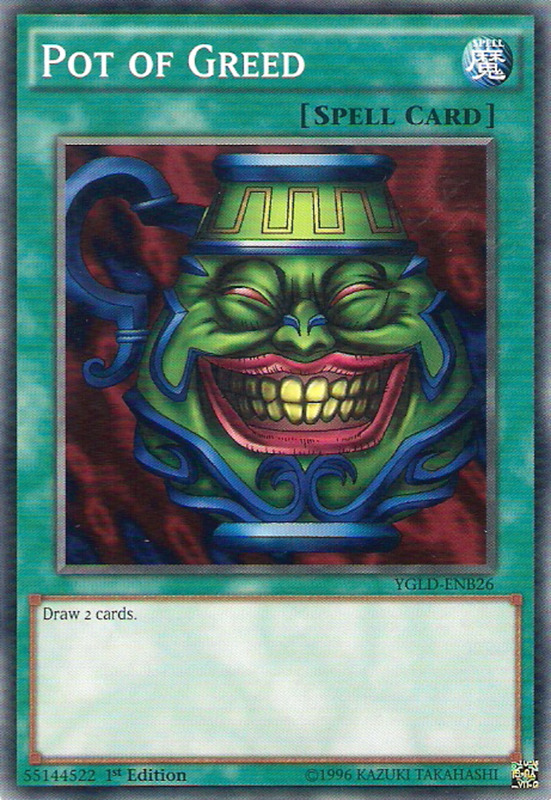 This both removes a monster from the field (without having to worry about pesky flip effects) and lessens your opponent's next draw by forcing them to spend it recycling a previous unit. Dark Mimic suffers from the weakest battle stats of today's entries, but don't judge a book (or treasure chest) by its cover. Mimic doesn't need a tribute to normal summon and lets you draw a card when destroyed by battle. 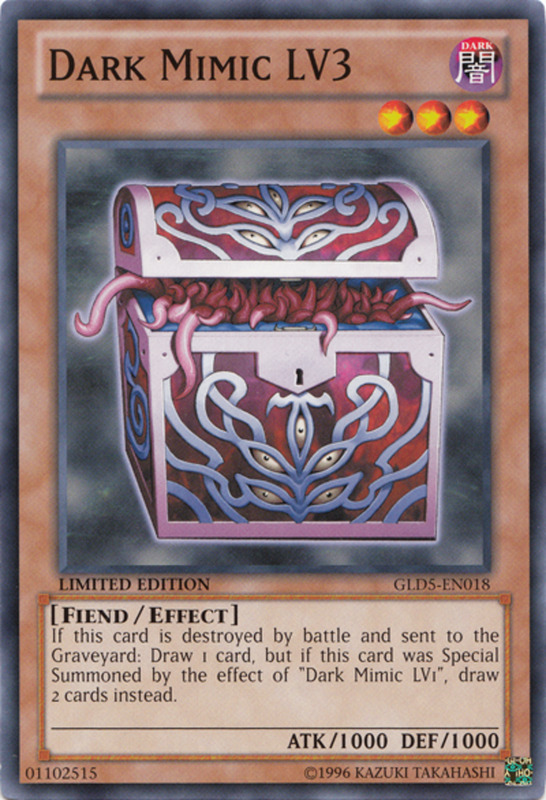 However, if Mimic was special summoned through its earlier form, Dark Mimic LV1, you're able to draw two cards instead! Utilizing this combo essentially nets you a free Pot of Greed and gives hand advantage to ensure you never run out of options. 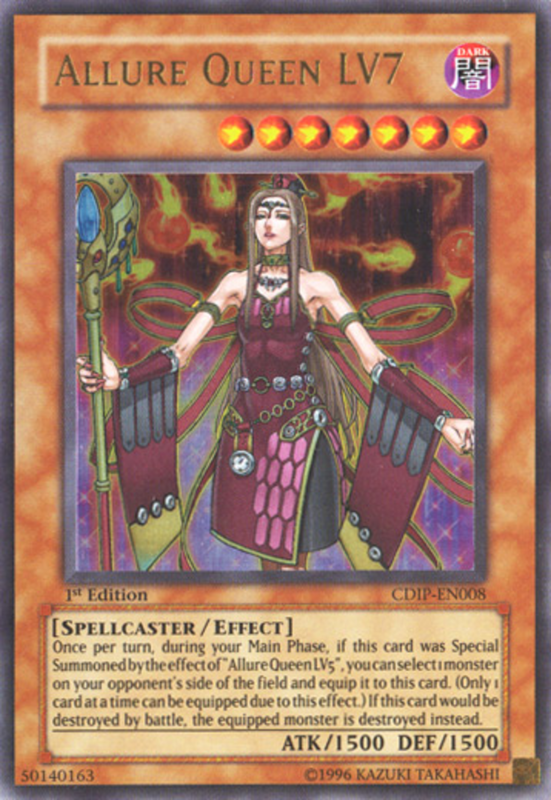 Allure Queen wields disappointingly low ATK and DEF for a level 7 monster, but her great effects help compensate. If special summoned by prior form Allure Queen LV5, once per turn, she can equip an opposing monster to herself. Whenever she would be destroyed by battle, Queen can instead remove her equipped creature instead. As nice as a reoccurring monster removal ability is, note that Allure Queen may only equip one monster at a time, meaning she can be tricky to employ effectively because she can't stock up on multiple enemies. 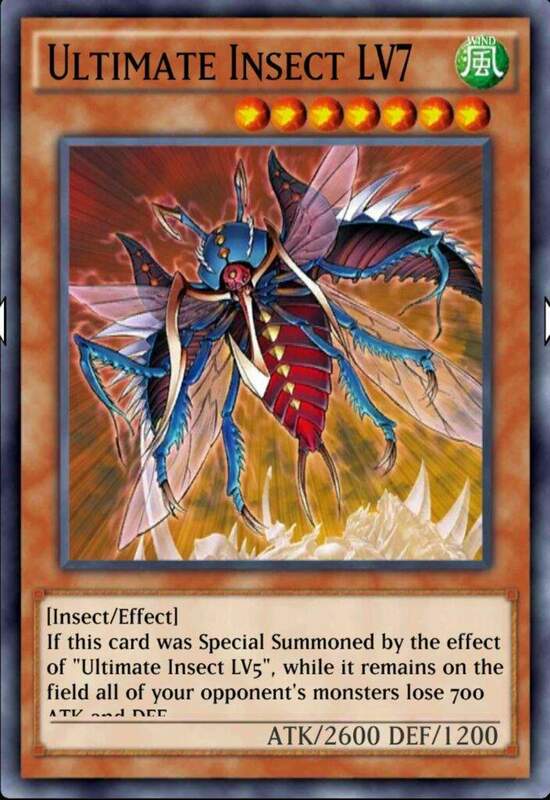 With the ATK you expect from a level 7, Ultimate Insect LV7 can conquer most foes in battle, and if it was special summoned from Ultimate Insect LV5, all opposing monsters have their ATK and DEF cut by 700 points. 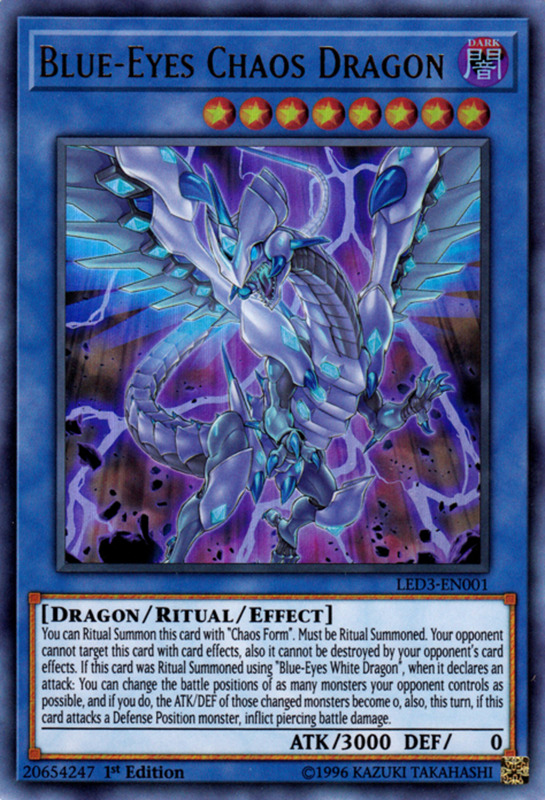 Taking its ability into account, Ultimate Insect can triumph against even a Blue-Eyes White Dragon in battle. Still, be sure to keep it protected because your opponents' army will regain their original scores if Insect leaves the field. 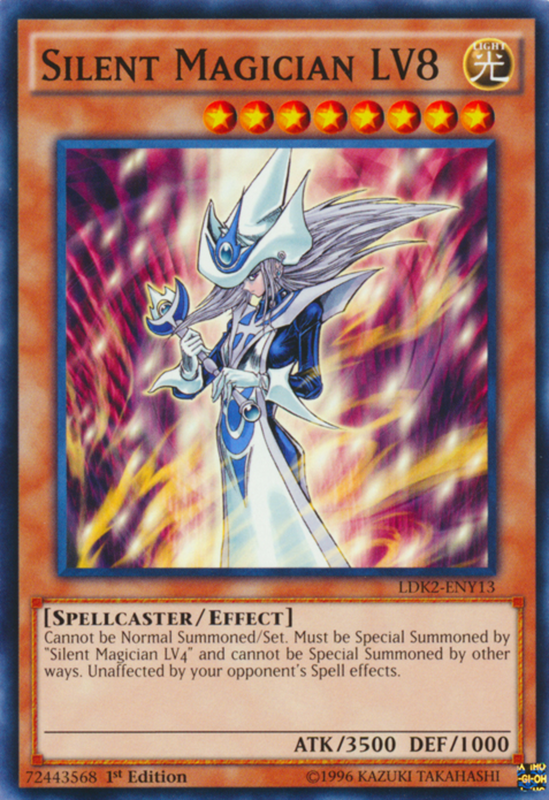 A spellcaster-type monster, Silent Magician LV8 cannot be normal summoned/set and can only be special summoned by the ability of Silent Magician LV4. Despite these restrictions, its whopping 3500 ATK bulldozes through almost any defender and it arrives with a built-in defense: complete immunity to your opponent's spell cards. 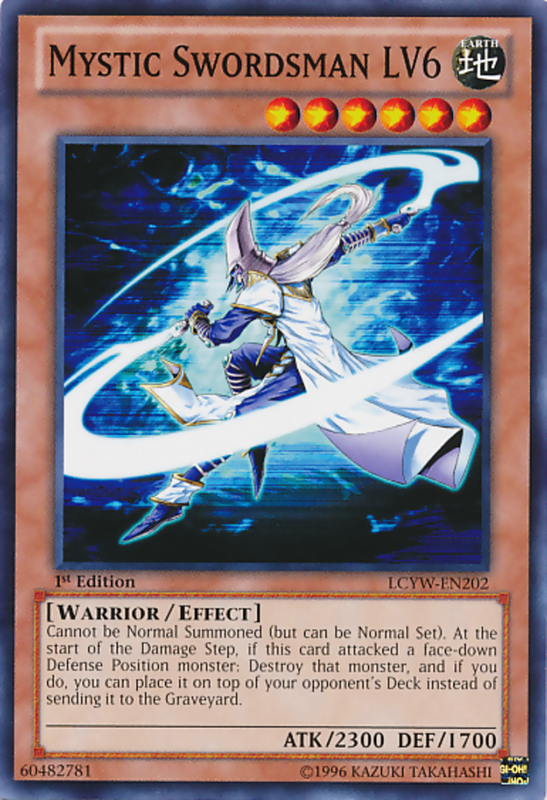 Magician's effect helps it survive, but be wary of non-magic removals (Mirror Force, Man-Eated Bug, and so on). Luckily, cards like Jinzo and Royal Decree can help protect you from unexpected traps that would otherwise destroy your team. Another of the "Silent" series, Swordsman LV7 bears many similarities to its predecessor. It cannot be normal summoned/set and can only be special summoned through its Silent Swordsman LV5's effect. However, once out, it brandishes a hefty 2800 ATK and an ability that negates all spell cards on the field. 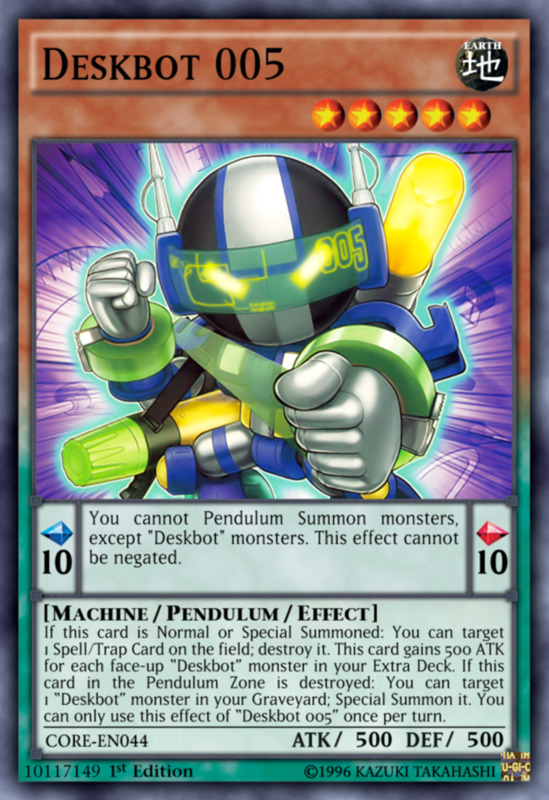 While this detriments you as well as your opponent, your deck should be designed with this in mind while your opponent despairs as their pendulum zones plus field, continuous, equip, quick-play, and activated spells all become useless. Another behemoth who cannot be normal summoned/set, Armed Dragon LV10 must be special summoned from your hand by tributing a fielded Armed Dragon LV7. Once out, it unleashes its fierce 3000 ATK and great ability: you can send a card from your hand to the graveyard and destroy all face-up monsters your opponents control. 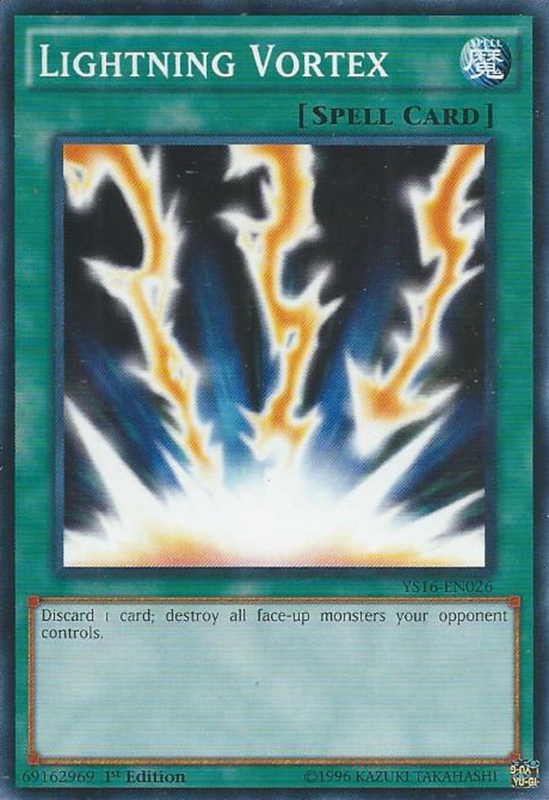 Since most monsters arrive face-up (especially extra deck cards), this ability often wipes out all opposing foes, and essentially provides a reusable Lightning Vortex effect. Same old, same old. 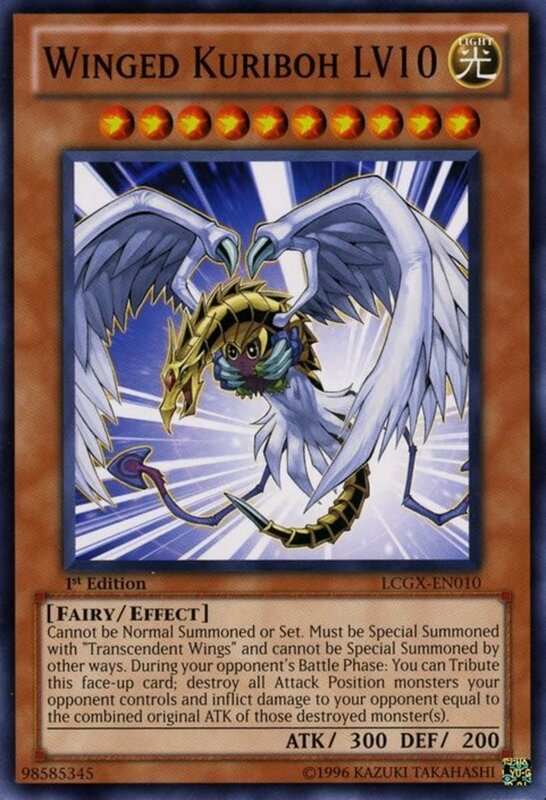 Unable to be normal summoned/set, you must cast Winged Kuriboh LV10 by successfully activating the spell Transcendent Wings (which relies on tributing a normal Winged Kuriboh). Although LV10 arrives with pitifully low ATK/DEF, it places your opponent in a difficult position, as you can tribute LV10 during their battle phase to destroy all attack position monsters they control and inflict damage equal to their combined ATK to your opponent. This wipes their whole monster area and often damages them enough to net you the win. 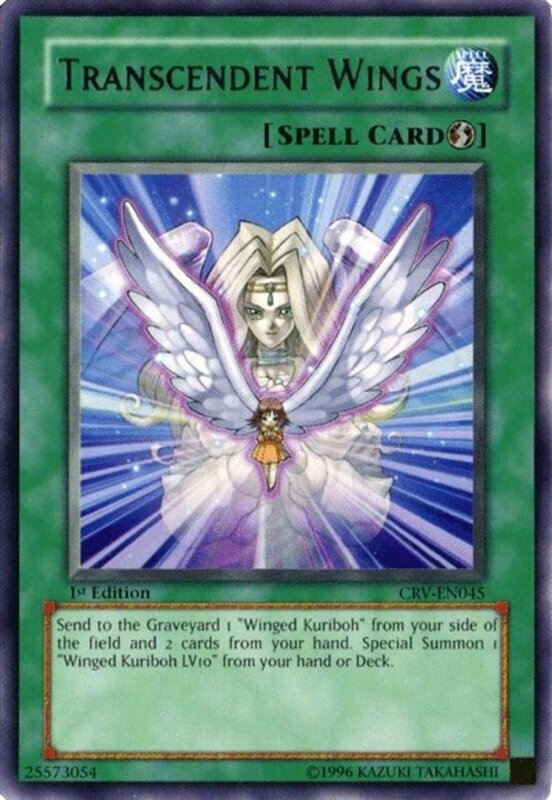 Note that Transcendent Wings also requires you to send two cards from your hand to the graveyard, making it quite the costly effect, but it does allow you to pull LV10 from either your hand or deck. Even better, it's a quick-play spell, meaning it can be played during your opponent's turn, allowing you to catch them off guard with one of the strongest comeback engines in the game. Bucking the trend, you actually can normal summon Dark Lucius LV8, but it won't access its effect. 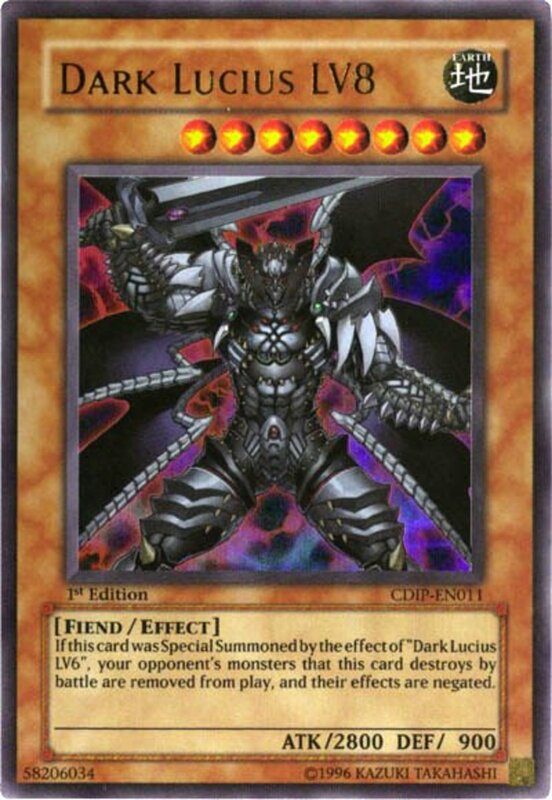 To do that, you need to level up Dark Lucius LV6, allowing the fiend-type to banish monsters it destroys in battle as well as negate their effects. The banishing makes graveyard-recoveries impossible and the negation prevents any upon-destruction abilities from triggering, permanently removing a monster from your opponent's repertoire. Thankfully, Dark Lucius's 2800 ATK easily eclipses most foes in combat, affording easy access to its effect. 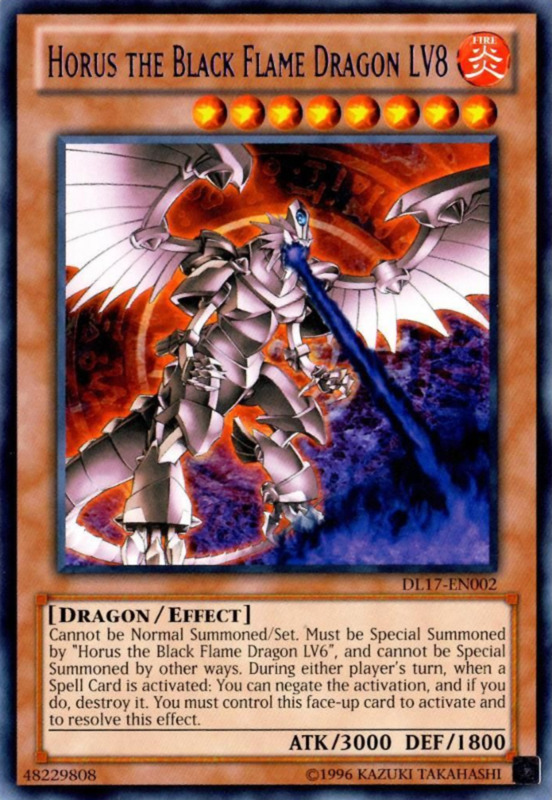 Returning back to roots (its rules ban a normal summon/set), Horus the Black Flame Dragon LV8 shares many similarities with other level monsters. It brandishes tremendous ATK, can only be special summoned by its ancestor's effect, and serves as a spell dampener, likely the best one yet. Horus simply allows you negate and destroy any spell activation on any turn. Since you choose when to apply the effect, you can still play your spells, but your opponent will find themselves struggling to recover from a complete spell shutdown coupled with a 3000 ATK monster. 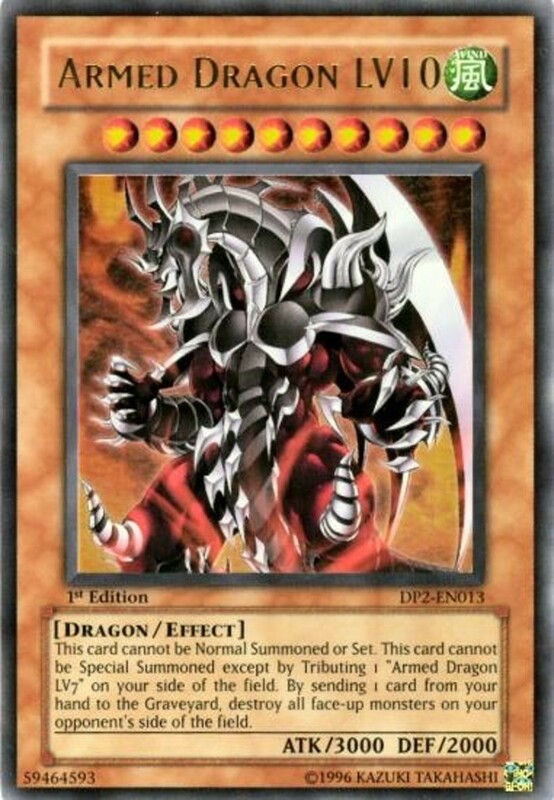 Thus, the intimidating Black Flame Dragon (great artwork with this one, Konami) reigns supreme as the best level monster we've yet seen. 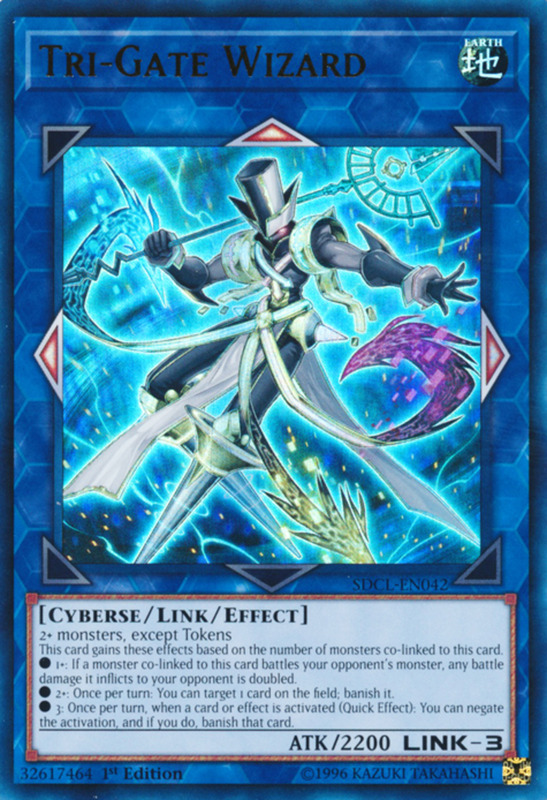 Despite their frequent use in the early Yu-Gi-Oh days (protagonist Yugi himself employed them, as did Jaden and Chazz), level monsters have received surprisingly few new entries as dueling has progressed. 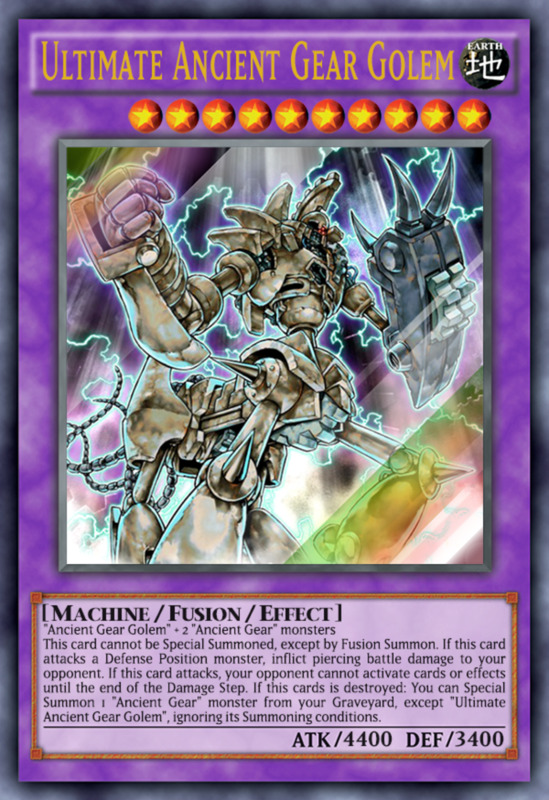 Other early monster mechanics, like fusion, ritual, and gemini monsters have gained fresh cards even in modern play, proving Konami hasn't forgotten its roots, and I'm hopeful they'll integrate some new and powerful level monsters at some point in the future. But until then, vote for your favorite card, and I'll see you at our next Yu-Gi-Oh countdown!